Roland Industries DBA Rhino Bedrooms is a leading designer and manufacturer of promotional bedroom furniture. The Company markets its products to major furniture retailers and wholesale distributors. 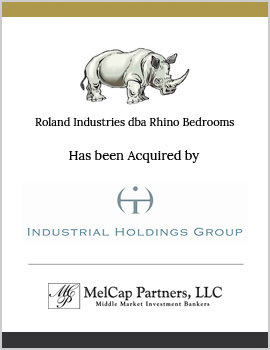 MelCap Partners acted as the sell side advisor to Roland Industries. Roland was sold to Industrial Holdings Group, an experienced private investment company.